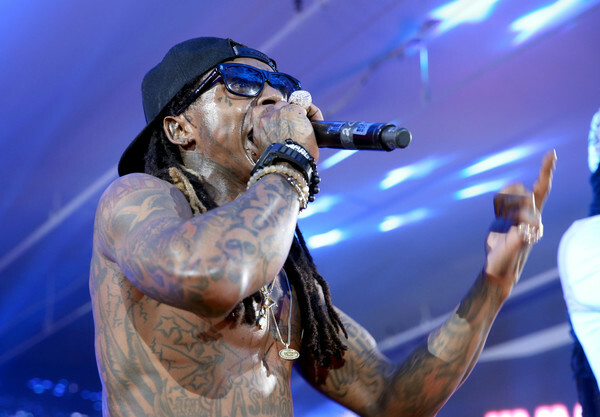 *The BET Experience returns for its fourth year, and this year, Lil Wayne and his ColleGrove collaborator 2 Chainz, Usher and Bryson Tiller are set to headline the four-day event in Los Angeles on June 23-26. Comedians Katt Williams and Mike Epps round out BET Experience’s Staples Center lineup. Performances and events presented by Microsoft and taking place at L.A. Live venue The Novo (formerly Club Nokia) will be announced at a later date. The free BET Experience Fan Fest will return June 25-26 at the Los Angeles Convention Center and include a celebrity basketball game. Capping the four-day event will be the annual BET Awards, broadcasting live from Microsoft Theater on June 26. LA Times reports that Lil Wayne and 2 Chainz will close the weekend of shows at Staples Center, while late-night shows at the Novo (formerly Club Nokia) will be announced soon, as will details on the fan fest expo, set for June 25-26 at the Los Angeles Convention Center. 2013’s BET Experience’s featured performances by Beyoncé, Kendrick Lamar, Snoop Dogg, Miguel, R. Kelly and others. Last year’s installment featured Nicki Minaj, Kevin Hart, Ice Cube, Kendrick Lamar, Snoop Dogg, Miguel and the Roots. BET Experience VIP packages are now available. General tickets go on sale on April 1. Single-day Staples Center show tickets start at $49.50, with three-day packages starting at $148.50. More details can be found via BETExperience.com.